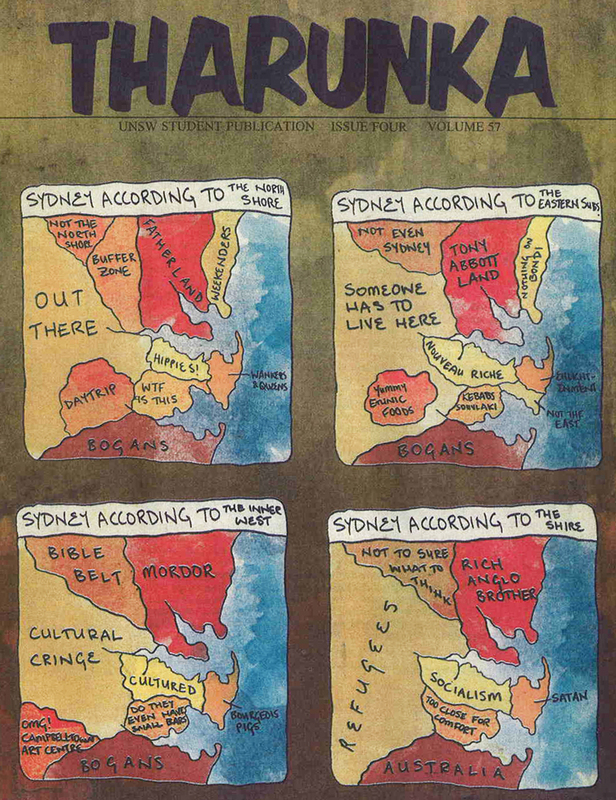 The image below is a humorous look at the population of Sydney, through their own eyes. It was created by Tharunka, the UNSW student newspaper, who I worked closely with in the late 80’s providing support for their graphic design department. For the record, I live in the little area that Eastern Suburbs people call ‘Not The East’ aka South Sydney. This entry was posted in Commentary, Humour, Latest Posts and tagged South Sydney, Sydney, Tharunka. Bookmark the permalink.